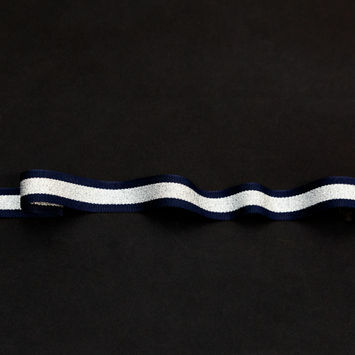 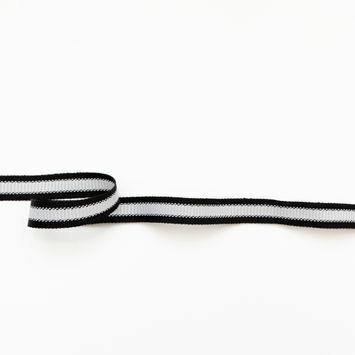 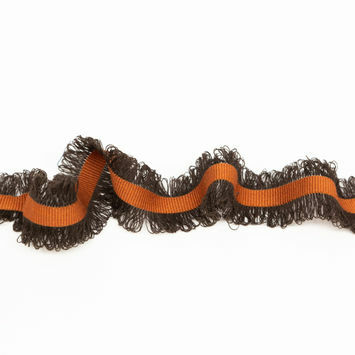 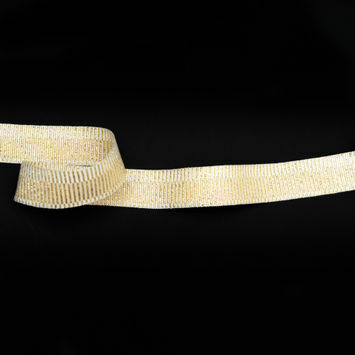 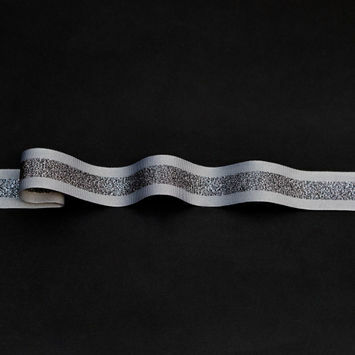 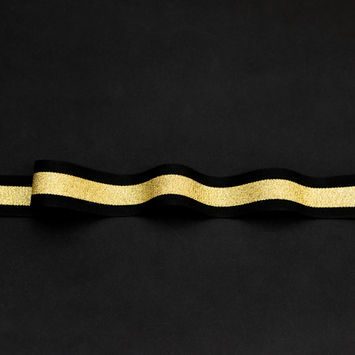 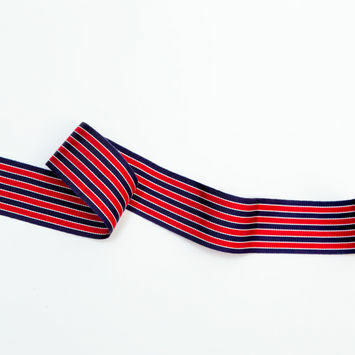 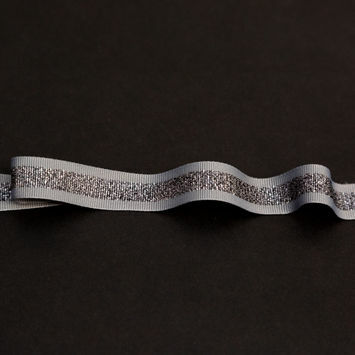 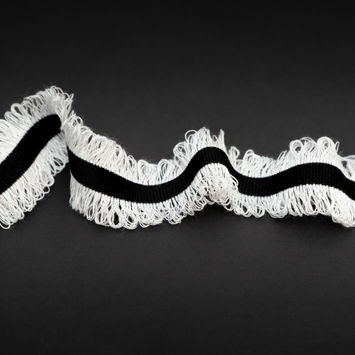 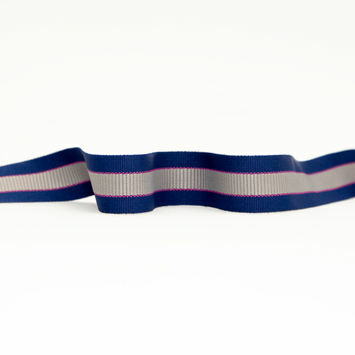 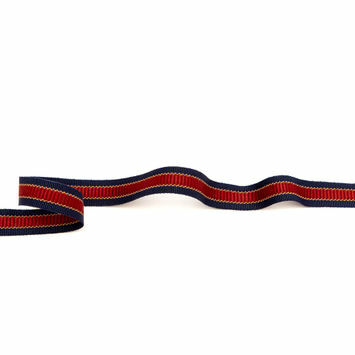 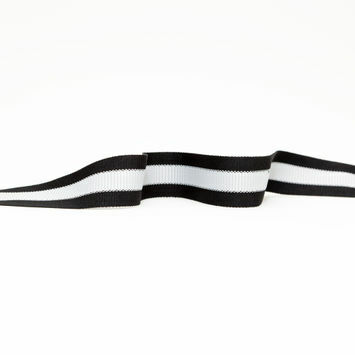 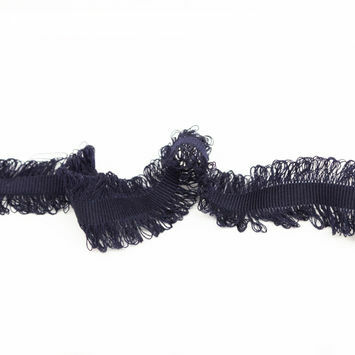 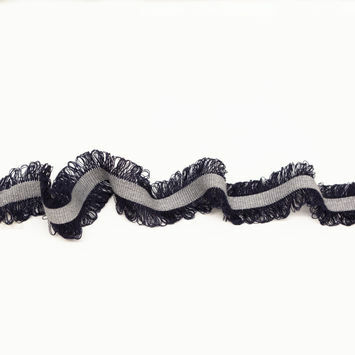 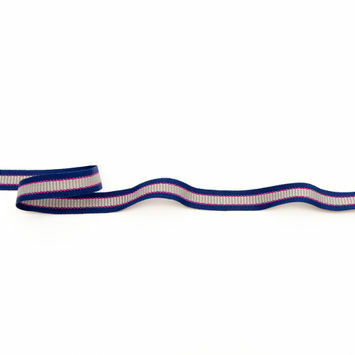 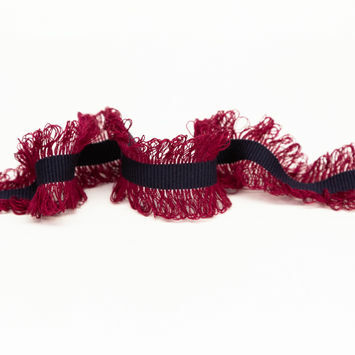 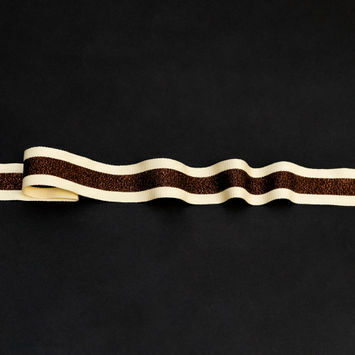 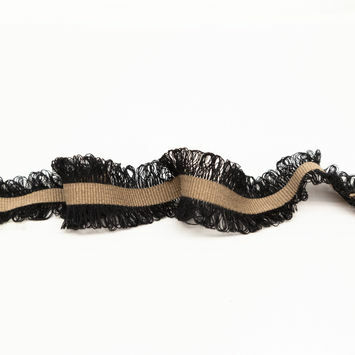 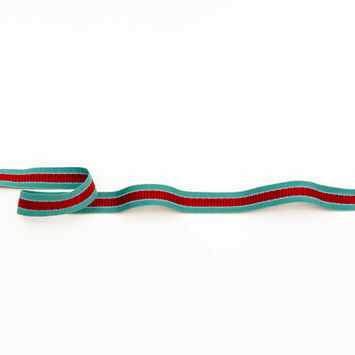 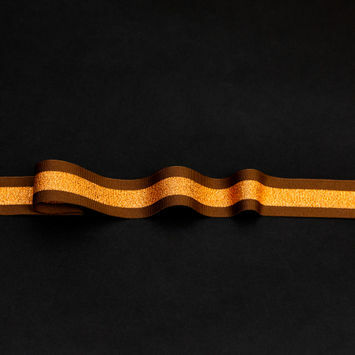 Grosgrain Ribbon adds texture and depth to any garment it adorns. 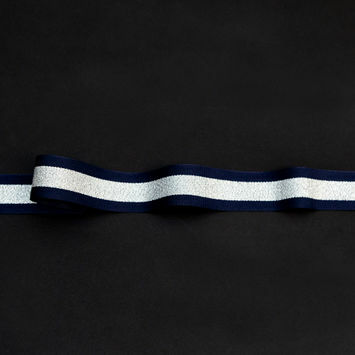 Grosgrain is typically utilized as a ribbon, but was originally used as a fabric for the bodies of coats and jackets in the 17th century. 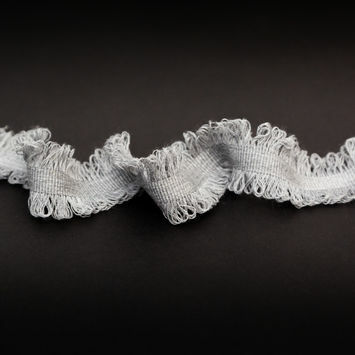 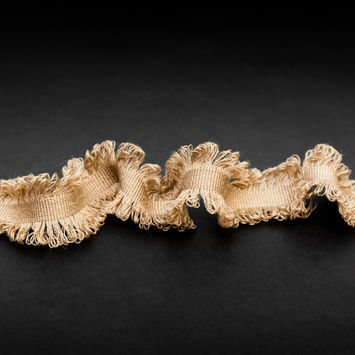 It is characterized by a heavier warp yarn, which gives it a horizontally ribbed texture. 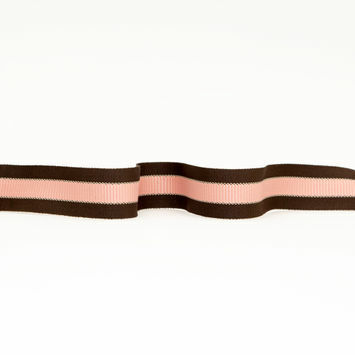 Use grosgrain ribbon trim as the belt of a beachy wrap dress or as the bows featured on the ends of sleeves. 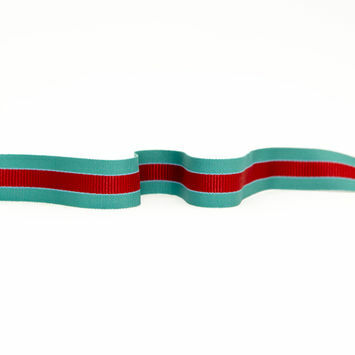 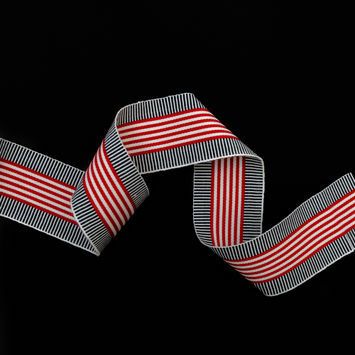 Italian Black and Light Silver Striped Grosgrain Ribbon - 1.25"
Italian Jade and Red Striped Grosgrain Ribbon - 1.25"
Italian Royal Blue, Silver and Pink Striped Grosgrain Ribbon - 1.25"
Italian Black and Light Silver Striped Grosgrain Ribbon - 0.625"
Italian Brown and Pink Striped Grosgrain Ribbon - 1.25"
Italian Navy, Red and Gold Striped Grosgrain Ribbon - 0.625"
Italian Jade and Red Striped Grosgrain Ribbon - 0.625"
Italian Royal Blue, Silver and Pink Striped Grosgrain Ribbon - 0.625"
Italian Brown and Pink Striped Grosgrain Ribbon - 0.625"
Italian Striped Red, and Blue Grosgrain Ribbon - 2"
Navy, Red and White Striped Grosgrain Ribbon - 1.625"
Italian Metallic Gunmetal and Gray Striped Grosgrain Ribbon - 0.625"
Italian Metallic Copper and Brown Striped Grosgrain Ribbon - 1"
Italian Metallic Gold and Black Striped Grosgrain Ribbon - 1"
Italian Metallic Dark Copper and Tan Striped Grosgrain Ribbon - 1"
Italian Metallic Gunmetal and Gray Striped Grosgrain Ribbon - 1"
Italian Metallic Silver and Navy Striped Grosgrain Ribbon - 0.625"
Italian Metallic Silver and Navy Striped Grosgrain Ribbon - 1"